By using our website, Westface Financial is able to log general statistical information (from log files) such as: the domain name, IP address and browser type of our website visitors. With the information gathered, we are better able to create a customized experience for your visit to our web site. The log file information does not contain personally identifiable information, such as name, address, phone, etc. and is used only in the aggregate. What is a cookie? Cookies are sets of information that our web server is capable of assigning to you when you visit our web site. Cookies are not used on our site at this point in time and are not expected to be used in the foreseeable future. The Westface Financial web site is designed to give our customers, prospective customers, and visitors a confidential means of gathering information about our Company, services and products and for doing business with us over the Internet. Our site will only collect information that you voluntarily provide in order for us to service your request. If you have provided personal information on our web site in order to join our mailing list, request information, obtain a quote or administer your financial and insurance accounts, we may need to share that information with authorized third parties, if necessary to service your request. We do not sell any customer information to mailing list companies or telemarketing companies. Personal information you have provided is limited to employees and agents of Westface Financial who need to know that information in order to service your request. Westface Financial maintains physical, electronic, and procedural safeguards that comply with applicable regulations to guard your personal information. 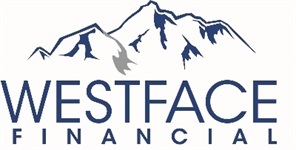 Westface Financial retains the information collected for as long as required or permitted by law or regulation.